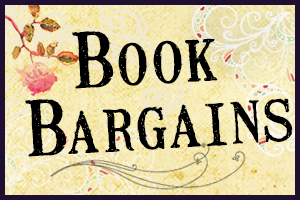 Love Saves the World: Book Bargains! A romance novel a day keeps all sorts of bad, sad, mad things away. Victoria Vane is offering a free download of Devil in the Making, the first in her Devilish Vignettes at her blog. Barnes & Noble has a 50% off sale on NYT Bestsellers. (Lots of Romance Novels! Noteworthy titles: The Bridgertons: Happily Ever After by Julia Quinn, and Lady Sophie's Christmas Wish by Grace Burrowes). (Got this tip from Tammy Falkner's Facebook Page) Erin Knightley's novella, Ruined by a Rake is FREE on Smashwords with code LJ42G. This is Anya Wylde's debut novel. (Not discounted but, at $0.99 for a full-length novel, I thought I'd mention it here.) The HR Critic has a very thorough review of this book. 3. Requested (review copy) at Netgalley or Edelweiss or as part of a blog tour (10%). With regard to the 3rd, this does not affect my view of the book and will write about them honestly and sincerely. I am an affiliate of Amazon.com and of The Book Depository and I earn a small commission when purchases are made through my links.